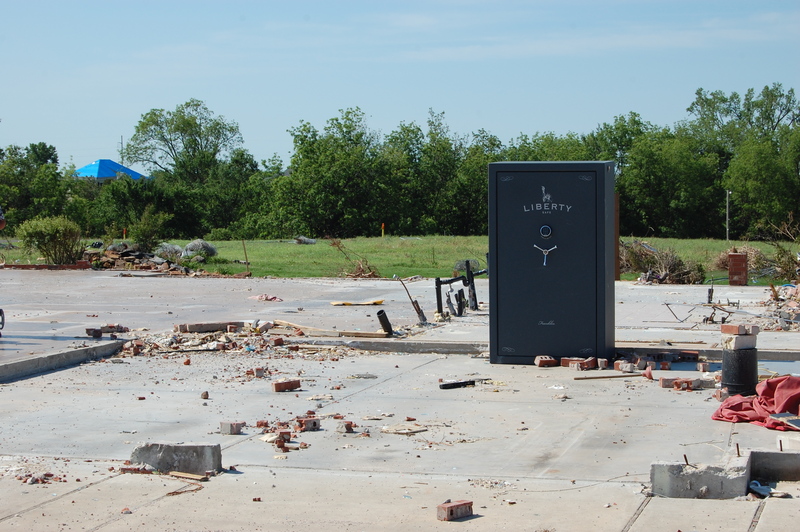 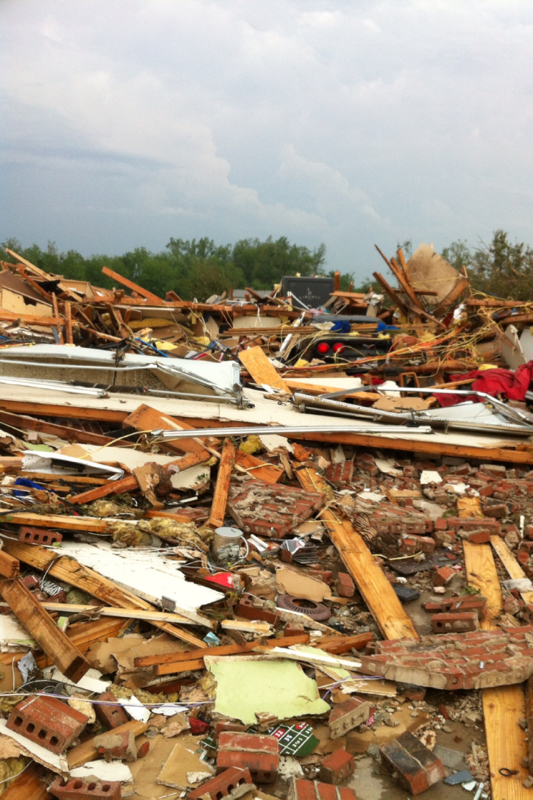 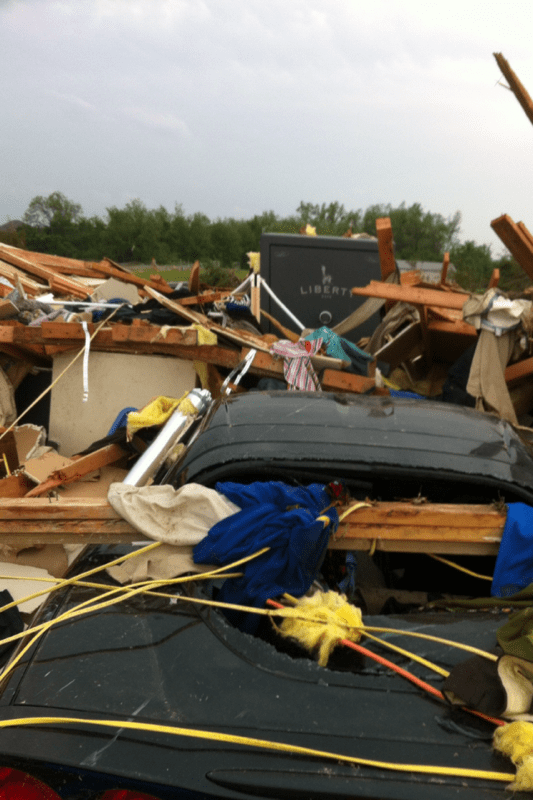 After the tornado in Moore, Oklahoma this Franklin Series Safe manufactured by Liberty Safe was still standing. 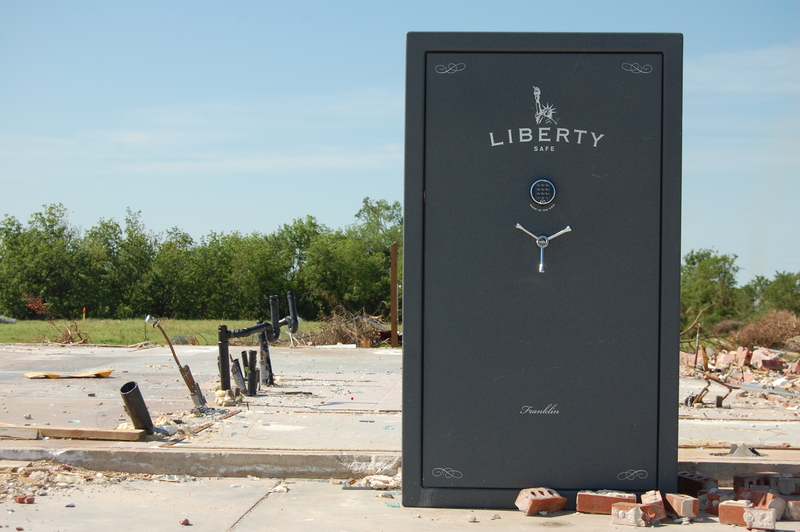 This Liberty Safe was bolted to the foundation and was still standing after the EF5 tornado with it’s door still secured. 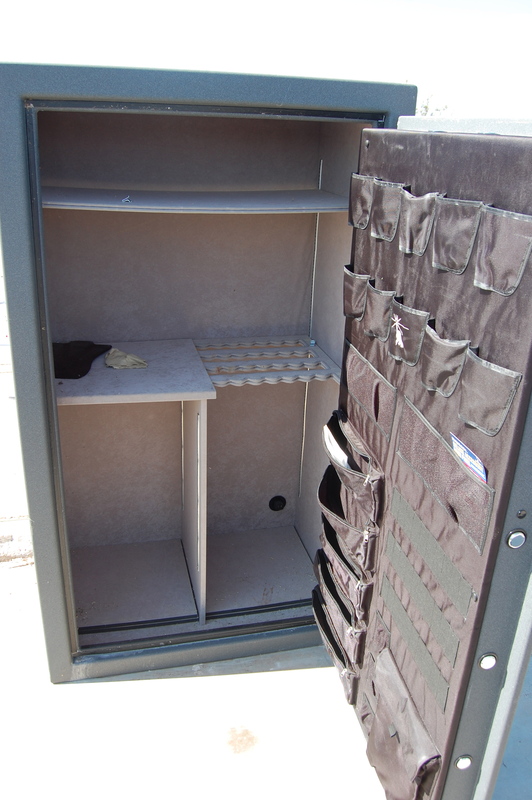 The owners opened up the safe to find all of their valuables were still protected! 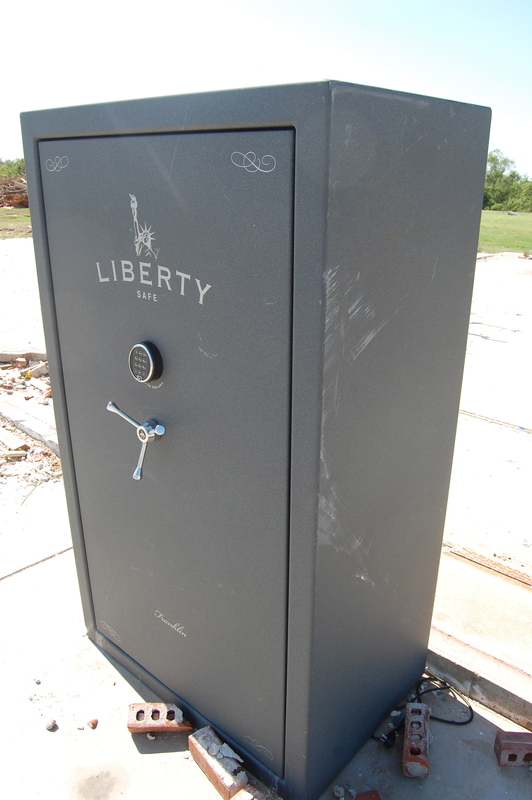 H&H Shooting Sports, where the owners purchased the safe, and who delivered and bolted down their Liberty Safe, will be replacing their safe for an upgraded Liberty Safe model once construction on their new home has been completed. 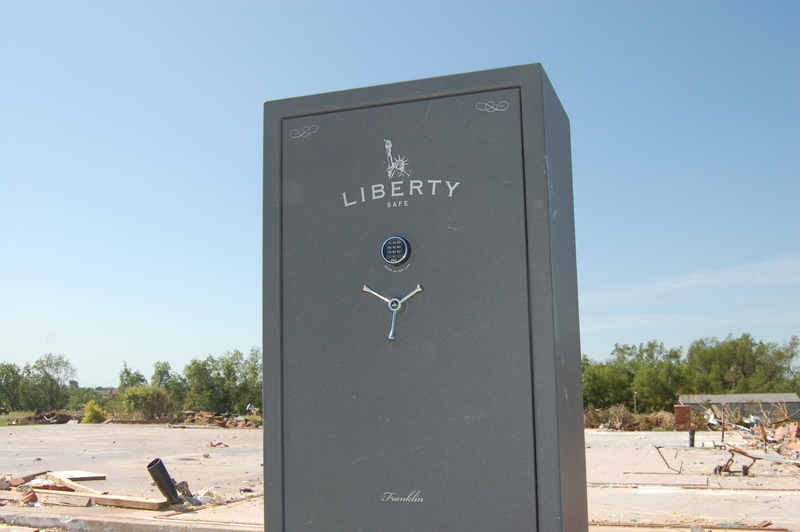 Their original safe is still in working order and will be installed into the H&H Safe Department so that everyone can see how the Franklin Series Liberty Safe stands up to an EF5 Tornado in person. 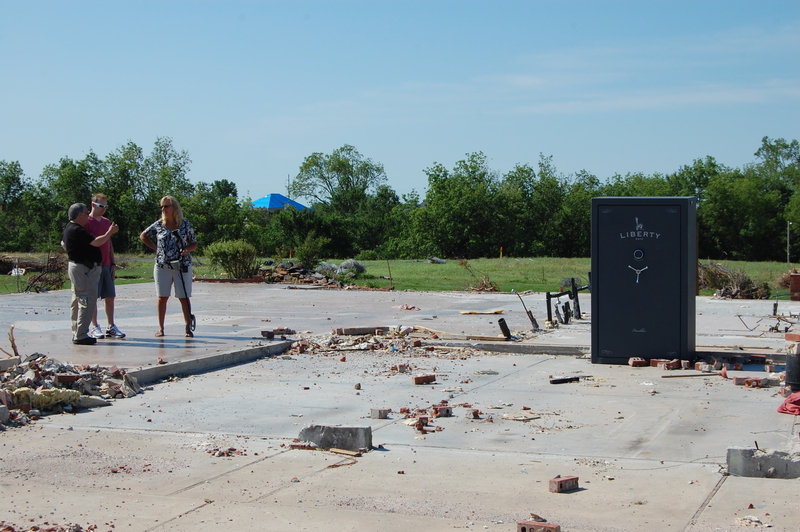 UPDATE: The homeowner recently contacted H&H and provided two additional photos of their house prior to clearing the foundation.